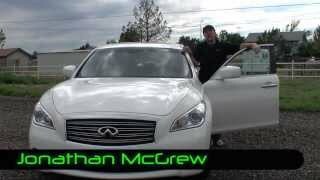 The automotive world has just become a lot more interesting with the arrival of the Infiniti M35h GT 2013. The Japanese sedan has been built with no compromise and plans on conquering the market with a high performance, low fuel consumption, state-of-the-art technologies and a high degree of luxury. All that and a bit more, because besides the diesel and petrol engines, the M is also offered as a hybrid. The Infinity is offered with three drivetrains and four trim levels, including the GT, GT Premium, S and S Premium. 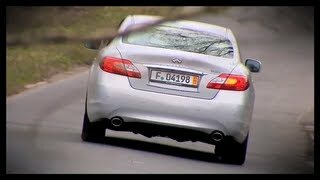 Under its hood the Infiniti offers either a 3.0 liter V6 diesel engine that is to be found in the GT, GT Premium, S and S Premium trim levels, or the 3.7 liter V6 petrol engine found in the GT, GT Premium and S Premium. The hybrid drivetrain comes in the form of a 3.5 liter V6 engine and is offered for both GTand GT Premium trim levels. In the past the Connectivity+ infotainment system coupled with the 16-speaker Bosesurround sound system have been offered on certain trim levels, but with this year's model these two features have also been introduced as an optional extra in the GT and S models at the price of £1800. Considering the fact that the entire package also contains the Forest Air climate control system, the price of this optional extra is not that bad. Furthermore, options such as semi-aniline leather seat facings, ventilated and heated front seats, Adaptive Front-Lighting system, bi-Xenon headlights, White Ash wood trim finishes and alloy wheels have also been included in the package. Other options include larger alloy wheels, 4-Wheel active steering and sport suspensions, brakes and seats, complemented by black lacquer trim on the interior. Furthermore, every Premium trim level will include Blind Spot Intervention, Lane Departure Warning, Prevention and Intelligent Cruise Control. 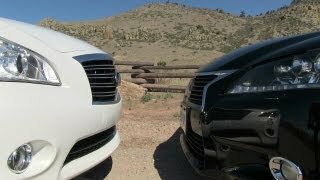 The Infinity M 2013 is without a doubt one of the best sedans in the world, but if you're skeptical about this statement, consider the fact that in the J.D. 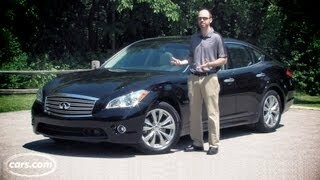 Power Initial Quality Study the Infiniti has beaten the Mercedes-Benz E-Class in the Midsize Premium Car segment. That being said, only one question remains unanswered and that's the price. Prices for the diesel-powered Infinity start at £39,331, whereas the petrol base model has a price tag of £37,366. The M35h GT hybrid has a base price of £41,101, whereas the GT Premium hybrid will set you back £45,071.